CAPE CANAVERAL, Fla. (Reuters) - A Florida-based company won U.S. government permission on Wednesday to send a robotic lander to the moon next year, the firm's founder said, marking the first time the United States has cleared a private space mission to fly beyond Earth’s orbit. The Federal Aviation Administration's unprecedented go-ahead for the Moon Express mission also sets a legal and regulatory framework for a host of other commercial expeditions to the moon, asteroids and Mars. As approved by the FAA's Office of Commercial Space Transportation, the privately held Moon Express, headquartered in Cape Canaveral, plans to fly a suitcase-sized lander to the moon for a two-week mission in 2017, said the company founder and chief executive Bob Richards. 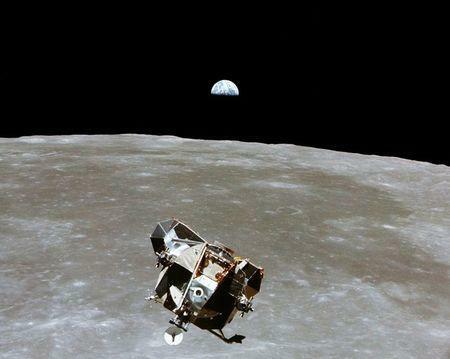 The spacecraft will carry a number of science experiments and some commercial cargo on its one-way trip to the lunar surface, including cremated human remains, and will beam back pictures and video to Earth, the company said. Before now, no government agency was recognized as having authority to oversee private missions beyond Earth's orbit, though a 1967 international treaty holds the United States responsible for any flights into space by its non-government entities. So far, only government agencies have flown spacecraft beyond the orbit of the Earth. To address the conundrum, the FAA, which already exercises jurisdiction over commercial rocket launches in the United States, led an interagency review of the Moon Express proposal, which included steps the company would take to ensure compliance with the 1967 Outer Space Treaty. Other companies are expected to soon follow the same framework. Elon Musk, founder and chief executive of Space Exploration Technologies, plans to fly a spacecraft to Mars in 2018, a mission that raises a host of issues dealing with protecting potential indigenous life on the planet from contamination by Earth microbes. Among other private space ventures in the works are missions to mine asteroids, operate science labs and repair and service satellites. Planetary protection is less of a concern on the moon, but Moon Express did have to contend with concerns about disturbing Apollo and other historic lunar landing sites, among other issues. “We proposed a scenario that built on the existing FAA mission-approval framework," Richards said. NASA and other agencies, including the Defense, State and Commerce departments, ultimately agreed that no new law was necessary, Richards said. As part of the agreement, NASA will advise, but not regulate, Moon Express activities on the lunar surface.